Eminence Overnight Treatment Review: Does It Work As Promised? This Eminence Overnight Treatment Review will provide you with the information you need to determine whether or not this hydrating skincare treatment can really improve the skin’s elasticity, moisturize, and exfoliate the skin. Eminence Organic Skin Care Lotus Detoxifying Overnight Treatment is a transformative skincare treatment that works overnight to deeply hydrate the skin. Using a blend of microgreens and plant extracts, this skincare treatment exfoliates away dead skin to reveal smoother, younger, revitalized looking skin. 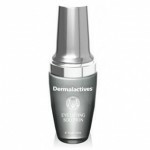 This product locks in moisture for long-lasting hydration, even into the next day. For best results, apply an even layer of Eminence Organic Skin Care Lotus Detoxifying Overnight Treatment to your cleansed, toned skin. 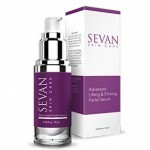 You may use this skincare treatment once per day, during your evening skincare routine. 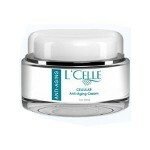 Be sure to utilize an SPF of at least 30 during the day for optimum results. 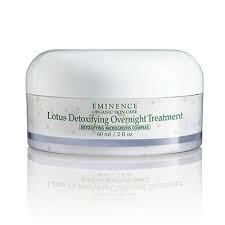 Eminence Organic Skin Care Lotus Detoxifying Overnight Treatment retails for $74.00 per 2.0 fl. oz. 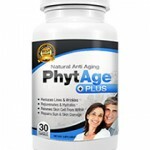 of product on several very well-known, trusted skincare retailer websites. Jojoba Oil: This ingredient binds moisture to the skin for lasting hydration. Aloe Vera: This ingredient soothes the skin and prevents irritation. Vitamin E: This ingredient protects the skin against damage caused by environmental aggressors. Green Tea: This ingredient soothes the skin and infuses the complexion with antioxidants. 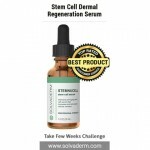 Eminence is a well-known, trusted skincare brand. 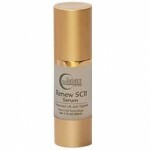 This skincare treatment deeply hydrates the skin and reduces common signs of aging. 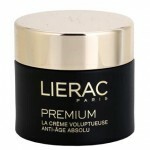 This hydrating product exfoliates away dead skin and improves elasticity. 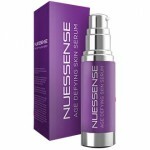 This product is only meant for nighttime use, meaning you’ll need to spend more money on a daily serum. This overnight treatment comes in a jar, which is unsanitary and potentially problematic for plant-based ingredients. Eminence Organic Skin Care Lotus Detoxifying Overnight Treatment claims that it can exfoliate away dead skin, diminish the appearance of fine lines and wrinkles, and deeply hydrate the skin. Although this may sound like the perfect addition to your skincare routine, we’d like to point out a few issues. This product is quite pricey, particularly for anyone on a budget. Additionally, this product is housed in a jar, which is rather unsanitary and may even be problematic for light and/or air sensitive plant-based ingredients. Eminence Organic Skin Care Lotus Detoxifying Overnight Treatment is available on several very well-known skincare retailer websites. These sites have quite reasonable return policies. If, for any reason, you’re not happy with the product you’ve chosen, simply return it within 30 days for a full refund. Be sure to include proof of purchase with your return, otherwise you may receive store credit in lieu of a refund.